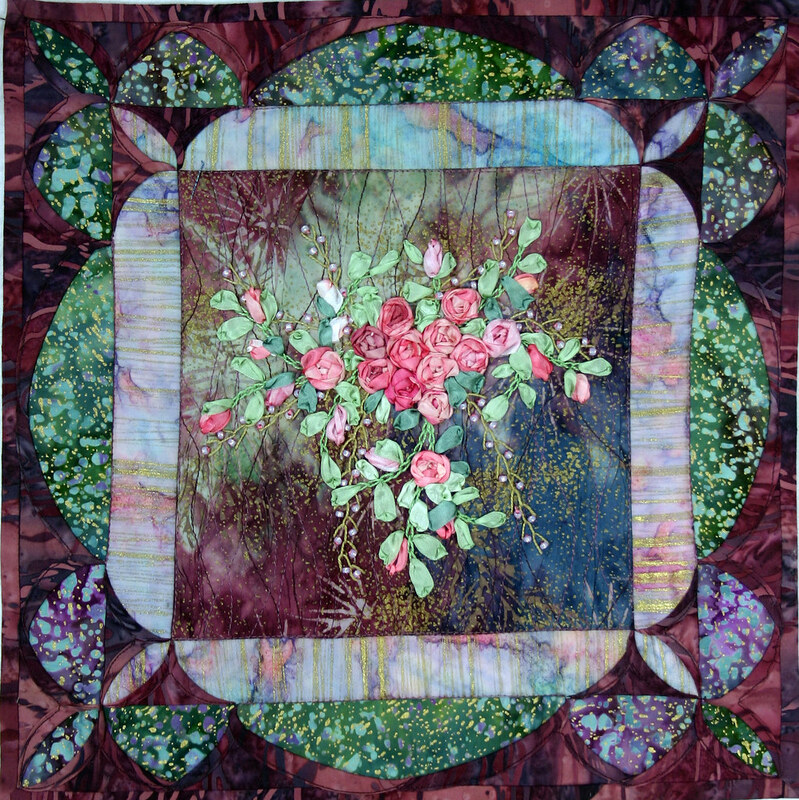 “Wild Roses”, this Tuesday’s Twilt, combines the technique I developed ten years ago, Cathedral Windows by Machine with a technique I love and had missed, Silk Ribbon mbroidery. 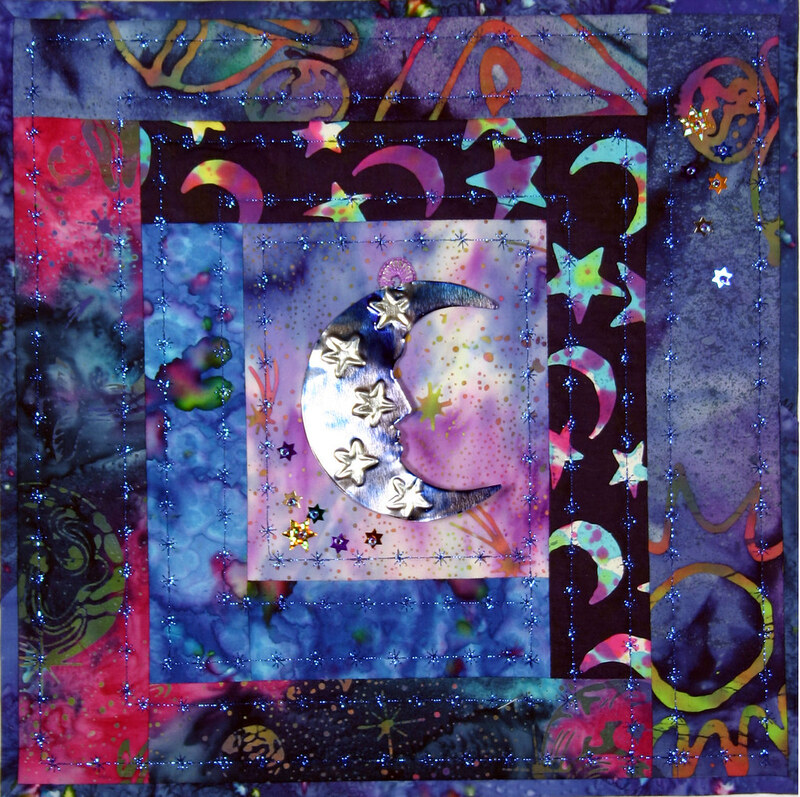 The borders of this Twilt have three-dimensional triangles with their bias folds rolled into curves, the part that is Cathedral Windows. In the center I have a bouquet of roses. embroidered with silk ribbon, accented with pearl cotton and beads. 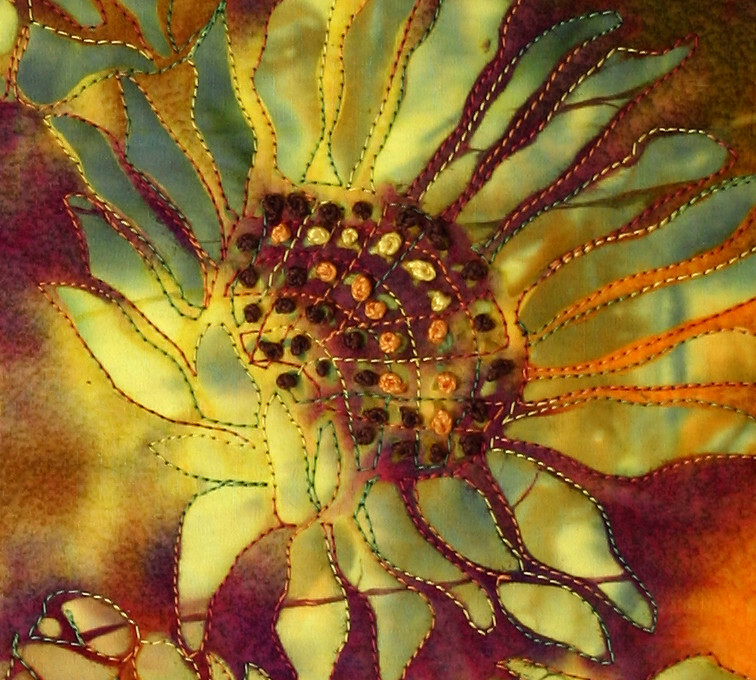 The background is a crinkled batik that I quilted with different colors of thread. 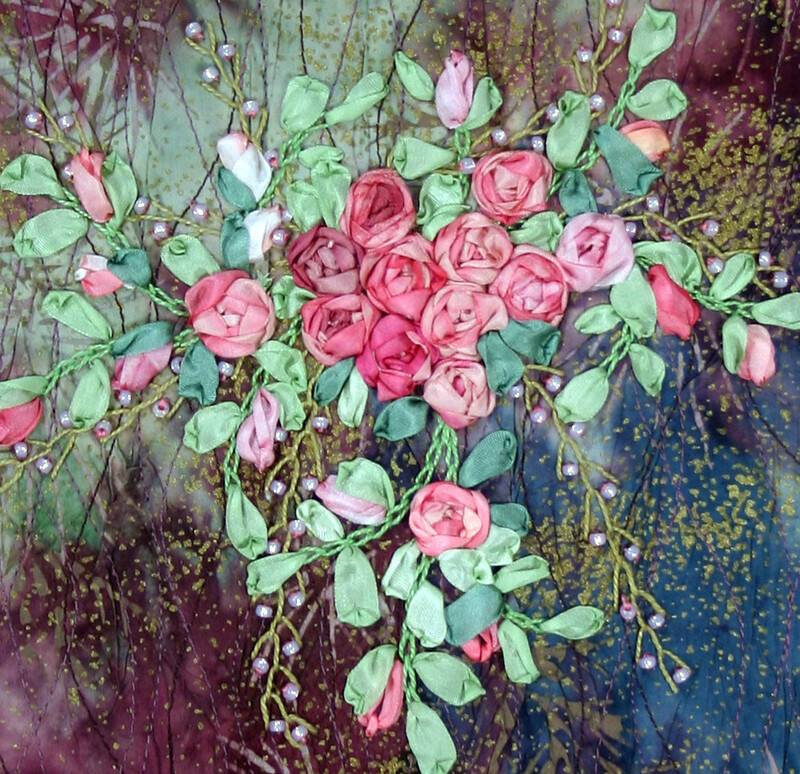 The ribbons used for the roses came from my collection of silk ribbon that I have painted and dyed. Just a quick Twilt for this Tuesday. 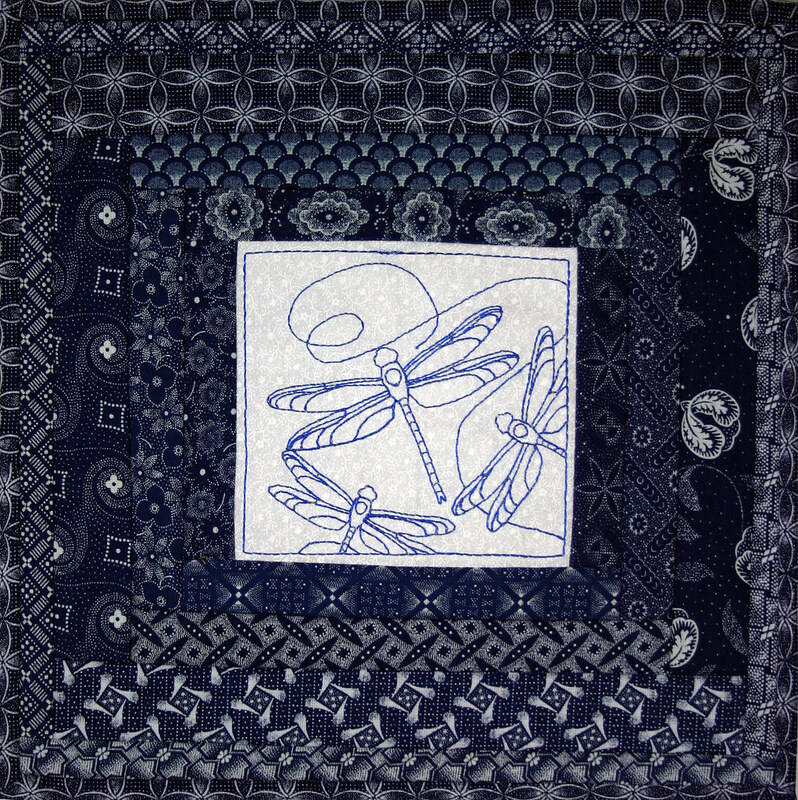 “Blue Dragonflies” started out with a embroidered block that I picked up from Georgia’s Quilting Obession. 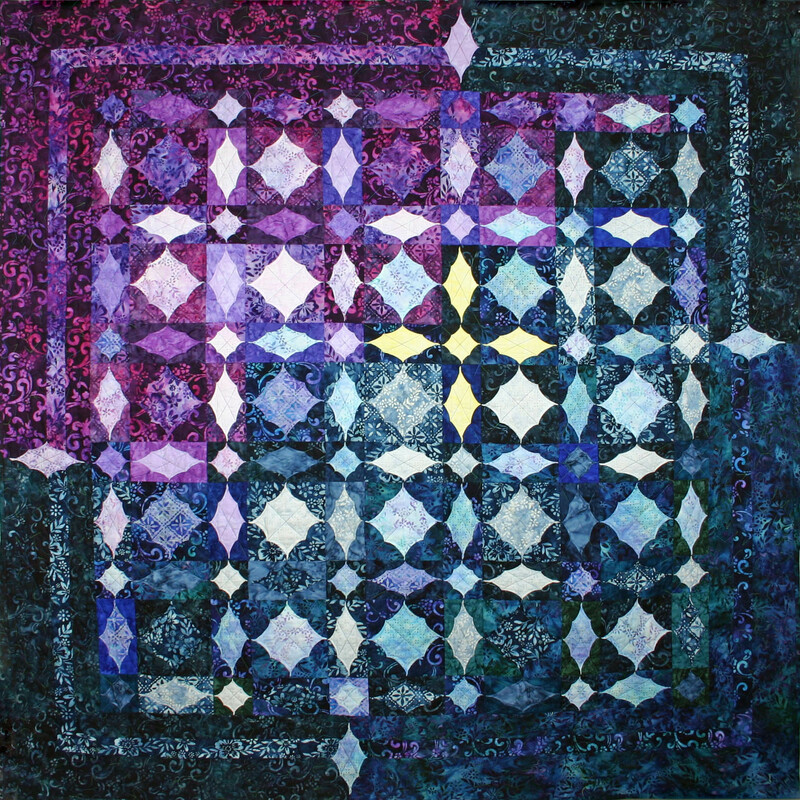 The Indigo fabrics came from Cotton in the Cabin. I picked them up quite some time ago and I think they were made in Africa. I placed the block in the center and sewed strips around it log cabin style. Super Simple! Hope everyone is having a nice summer. I just got back to my twilting and made my newest Twilt, “Summer Sizzle”. 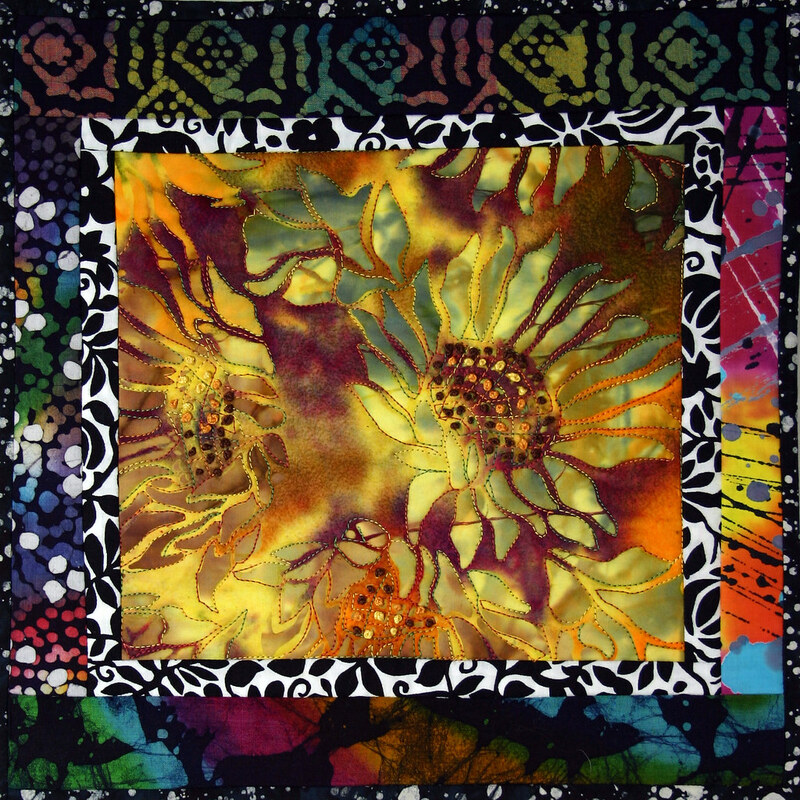 It’s the middle of August and the batik fabric with the sunflower just screamed Summer. 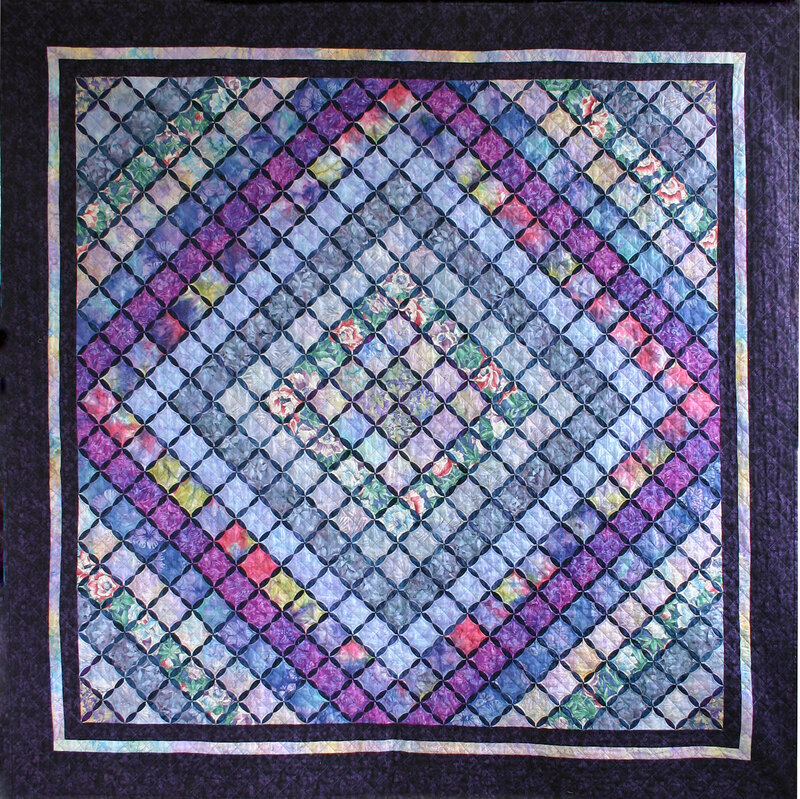 After adding the border fabrics that are, I admit, a little out of my ordinary choices, I machine quilted around the Batik design with a varigated King Tut quilting thread from Superior. I then added french knots. If you click on the pictures you can see a high resolution version.